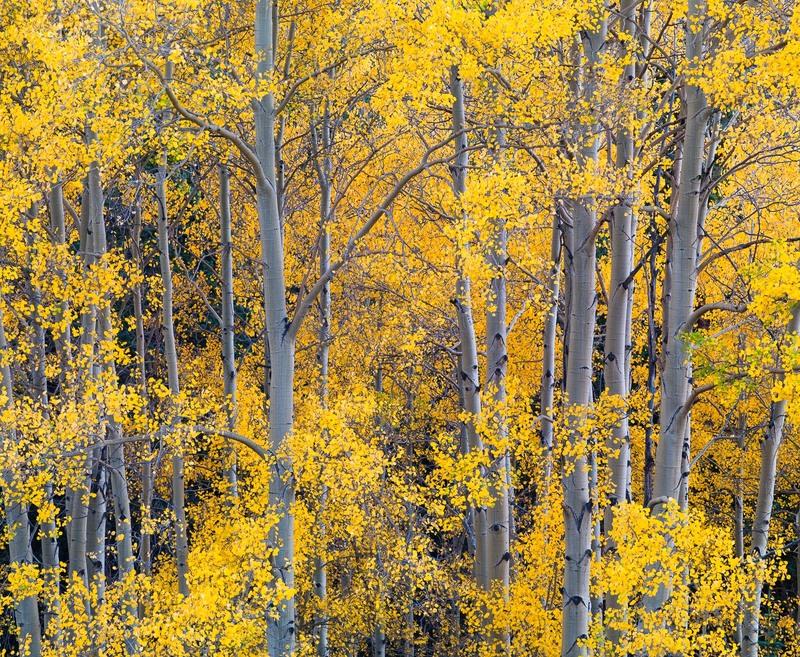 High up in the Uncompahgre National Forest the aspen trees shine with gold and silver. A site I never tire of. Photo © copyright by Lance B. Carter.